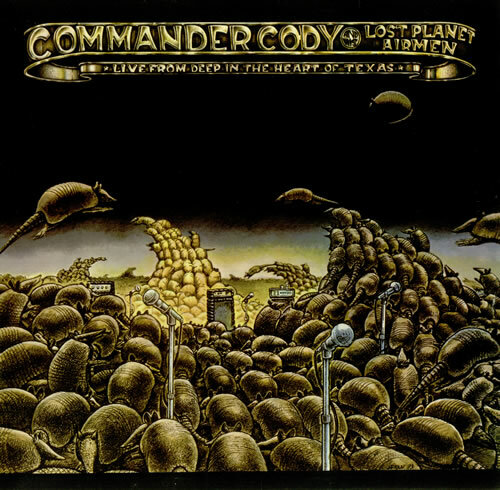 Commander Cody and His Lost Planet Airmen were an American country rock band. 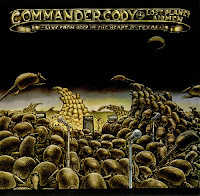 1974 saw Commander Cody and His Lost Planet Airmen release their fourth album in as many years, and it was a live one, recorded at the Armadillo World Headquarters in Austin, Texas. It captured them at their very best, sounding just as good as they did on their studio albums but with the added excitement of the concert experience. It also featured almost entirely new material, with only two of the songs having already appeared on their first three studio albums. Among the new songs were covers of Buck Owens' "Cryin' Time", Roy Brown's "Good Rockin' Tonight" and The Robins' "Riot In Cell Block #9". It turned out to be their last album on the Paramount label, and the next year found them on Warner Bros. It was also their last release with pedal steel guitarist Bobby Black.